Tanzania. In a country where land is regarded a male thing We Effect has supported women in six villages to claim and own the land they have the right to. The breakthrough came from focusing on key issues at community level. We Effect’s Naseku Kisambu shares her experiences on how to realise women’s right to land at the 3rd international conference on land rights in Stockholm. – As much as we have the protecting laws passed in 1999 the implementation of the laws is still a dream. We have trained and trained stakeholders but we still have the challenge that women don’t access land. We need to refocus and ask ourselves, what are the challenges?, said Naseku Kisambu, We Effect’s Country Liaison Officer in Tanzania. So how do you realize women’s right to land? 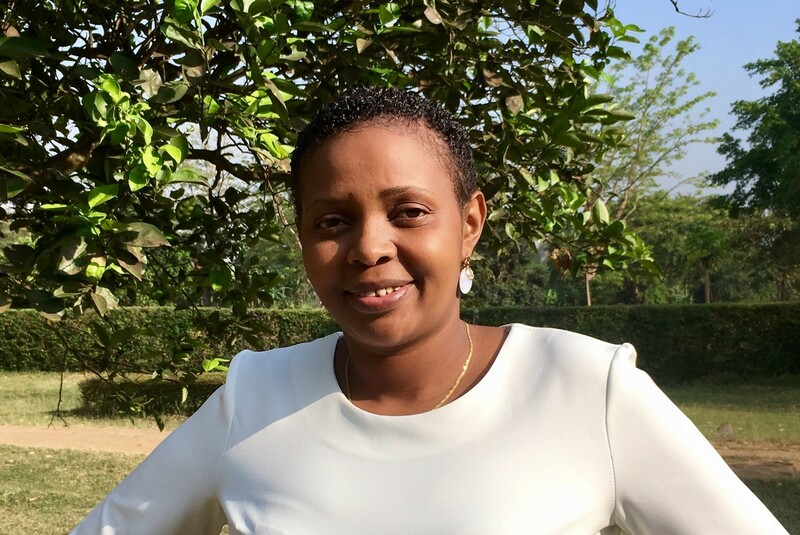 Naseku Kisambu will share her experiences from a 3-year project in Dodoma, Tanzania on improving women’s land rights at the conference ‘Reducing inequality in a turbulent world: Scaling-up strategies to secure indigenous, community, and women’s land rights’ in Stockholm, Sweden. – In Tanzania women have the attitude that land is a male thing. Women don’t think they have the right to land. Life becomes problematic when their status changes, if the husband dies or marriages an additional wife, and they lose the land they used to access, said Naseku Kisambu. The project, supervised by Naseku Kisambu and implemented by We Effect’s partner organisation TAWLA, focused on finding ways to work with the patriarchal system. At the community level male champions were used to advocate and raise awareness for the women. Key influential persons like traditional leaders and religious leaders were targeted. – We used male champions to advocate that women also have rights, Naseku Kisambu adds. The collaboration between local governments, the community and the paralegals that function as watchdogs in the communities was also improved. Since land issues and land disputes in Tanzanian communities are handled by village land councils the project focused on strengthening them. The village land councils shall have 7 members and 3 of them should be women. The project found the councils to be out of order. Some were without women, others had very old members and some were not even in place. – We supported the village land councils to facilitate cases according to the law and we built their capacity on gender issues. Some of the members are not educated so we produced training materials that would suit them. We trained them to understand the land proceedeurs and supported them with knowledge and equipment as desks and bicycles. According to Naseku Kisambu there is a need to empower communities to make use of sound and progressive laws. In a village all people should know, if the laws are not followed a legal procediur will start. This is what happened in the villages of the project. The women started going to “court” after the land dispute settlement mechanism in their villages was strengthened. Under 2016 the trained village land councils came to handle disputes where 52 women instituted suits on land related matters and 8 cases were litigated successfully on favour of women that year. Also, village land certificates were secured for 4 out of 6 villages during the project. – I think we should look at the fact that we have invested so much in awareness raising but we tend to forget the nitty-gritty at the community level. Women’s land rights. The Tanzania context. In Tanzania all land is public land. There is general land, village land and reserved land and grants and revokes are made by the president. Since the village land reaches 70 percent, being the most common category in the villages where 80 percent of the population lives, it was the focus of the project. The village land is governed by two laws where one recognises customary practice. The reason for this is that land is regarded an identity and connected with male counterparts. This means that there is a conflict since one law protects women’s rights to land and the other law recognises customary practice. In Tanzania 82 percent of the people use the customary law. It is also adopted by the courts. Women don’t inherit land because they are not recognised.